In the event of your death, a lending institution will not write off your debt. Rather, they will continue to pursue the debt through your dependants and could, ultimately, foreclose on the loan meaning the loss of the family home. Availability of benefits is dependent on legislation at time of application. The main benefits the State may provide are the Widowed Parent’s Allowance and Child Benefit. Depending on whether the widow(er) qualifies for Income Support, the State may or may not help with paying the mortgage interest.  Malone Financial Services Ltd is an appointed representative of Mortgage Support Network Ltd which is authorised and regulated by the Financial Conduct Authority. You can find us on their website www.fca.org.uk. Registered office 172b Kingston Road, Epsom, Surrey, KT19 0SA. Registered in England No. 7055056.